Like every small town, there are seasonal traditions in Autumn Vale, but some of them are a little odd, if you don't know the background. There's Apple Share day, when locals block off the street and orchard owners come to town with their excess apple harvest to share. That goes back to the Great Depression when local farmers shared with townees any bounty they had. It's a wonderful example of Autumn Vale spirit. But a much more recent one is that on the first day of fall you will see the town workers putting up Christmas decorations; Christmas decorations in September? Well, it's all because of the October Surprise of 2006, otherwise known as the year with no Christmas decorations in Autumn Vale. I'm just relating what Gogi told me. She says that the town workers always put up the town wide Christmas decorations mid-October, since there are often snow events in November. But then... a mean weather system that would result in Lake Storm Aphid, as the weather bureau named it, closed in on Western New York. 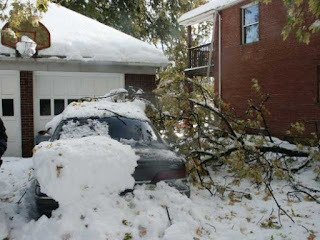 Nearby Batavia got 10 inches, which doesn't sound like a lot, but the way Autumn Vale is situated, in a valley between two crests, 10 inches of snow can drift in and create havoc. So on October 12 and 13th the village was shut down; electric lines were down, trees, and so on. It took days to get the streets cleared and everything back up and running, and weeks to clear the fallen trees. As a result both the town budget and everyone's patience was depleted, and in a record setting vote they all just decided to do without the Christmas decorations that year. Most depressing Christmas ever, Gogi tells me. She was, at the time, still in the throes of her breast cancer battle and it was a low point. So the year after, 2007, they made a point of putting up the town Christmas decorations on the first day of fall and not later. And now it's a tradition. So... are there any fall traditions where you live? Hello all... I'd be interested to hear from you. 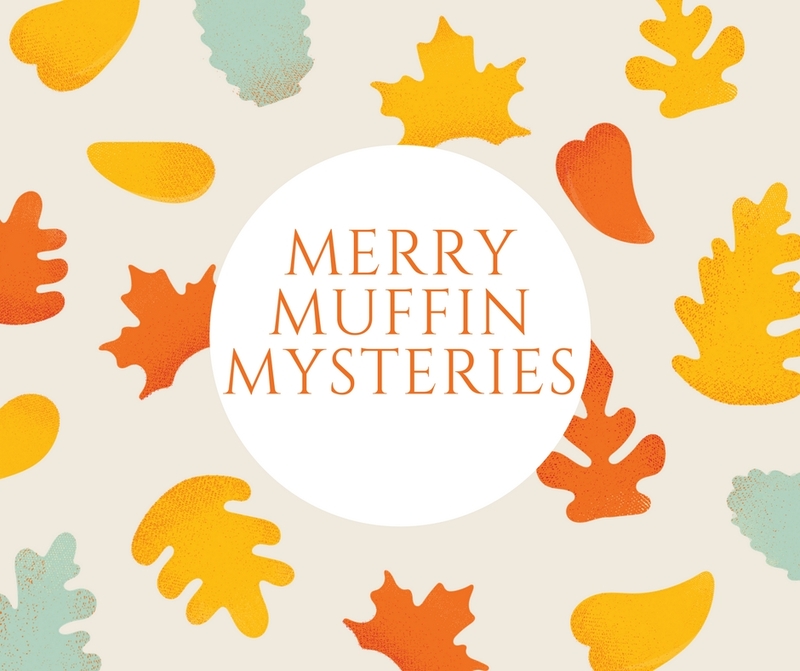 Would you like to see the Merry Muffin Mysteries continue on? If so, why? Drop me a line in the comments!! And thank you all for your support; it means so much. Hi Victoria, YES I'd love to see the series continue. I particularly like the refurbishing of the old castle. 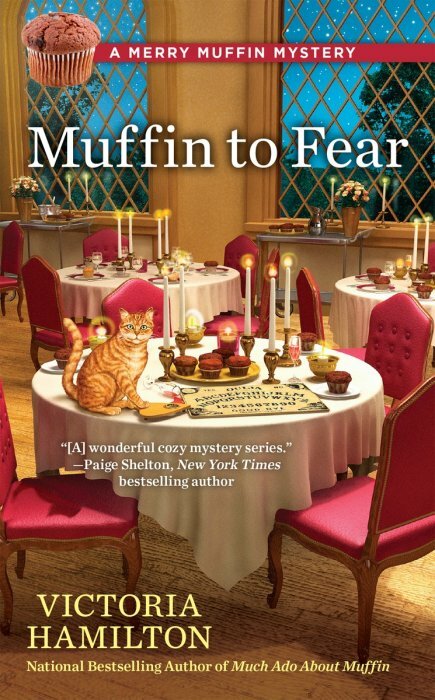 A high class B & B with fabulous muffins? What's not to love? bobwiesmann at gmail dot com. Yes, I love this series. I am looking forward to see how Merry and friends handle Wynter Castle’s new future. Yes, please continue the series. I really enjoy reading about Merry, her friends, & all their relationships & interactions with each other. I would love to see the series continue. It is a good read. Thanks, all. We'll see what Berkley says!! I'd love them to renew my contract. I would love to see the Merry Muffin series continue. The castle setting is wonderful and I love imagining being there while I'm reading the books. Happy Fall! Please continue the series--I love it! It's nice and different and unique with the setting and characters. I love the Merry Muffin series! I like Merry and her friends, as well as the town of Autumn Vale. I like how small town living is growing on her. Yes! I can't wait to read the descriptions of the weddings to come in the castle B&B.